Water success stories inspired by an Ecovortek unit. 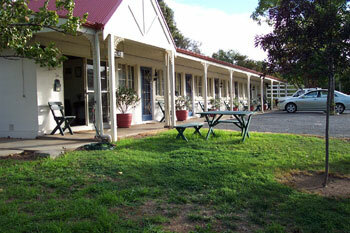 A trial was carried out by Roseneath Organics at their herb farm in the Adelaide Hills, SA. 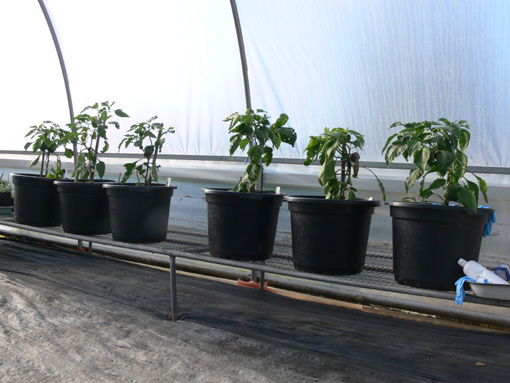 The results showed a significant improvement in fruit yield using Ecovortek treated water compared with the control.Two trial groups of pots (2 x 3) were prepared & planted with six capsicum seedlings, one in each pot, in February 2007. 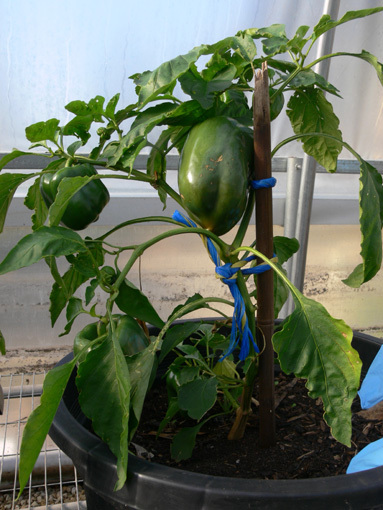 Each pot was watered with dam water, three with untreated dam water and three with Ecovortek treated dam water, The pots watered with Ecovortek treated water produce 2.7 good sized fruits per plant while the pots watered with untreated water produced 1.2 fruits per plant on average. 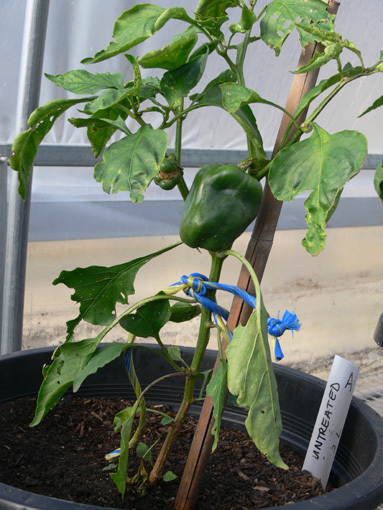 The treated plants had a greater number of leaves when compared with the control. The importance of the nature and quality of water can be crucial in the care, growth rates and well being of stock. The need to access more ‘marginal water’ e.g. bore water with higher salt content, has presented problems for farmers ranging from maintenance of pipes and equipment to the condition and health of stock drinking that water. 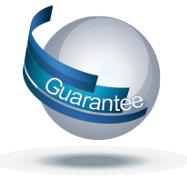 A patented technology and product wholly created and based in S.A. has shown very encouraging results in trials to date. 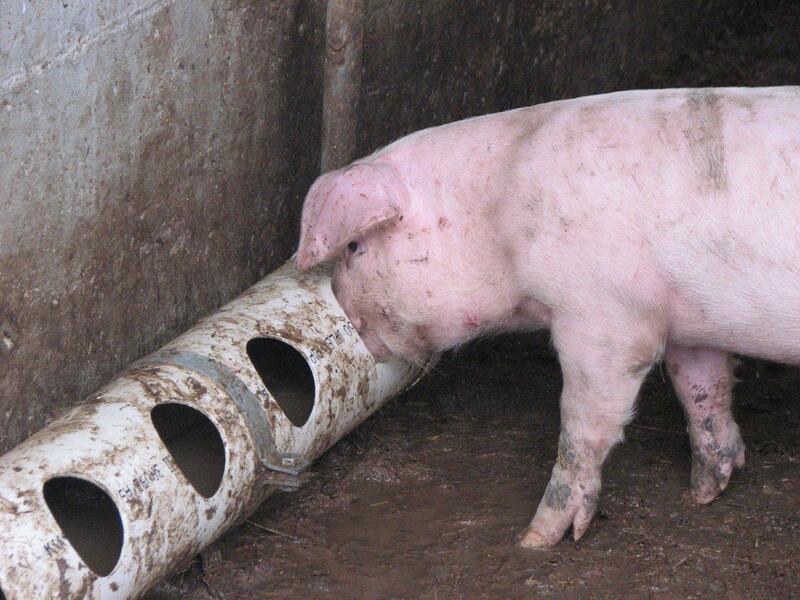 It is now undergoing further trials with weaner pigs. The weaners have definitely shown a preference for the Ecovortek treated water in controlled trials (75%) and in a side by side trial with 250 weaners those in the ecoshelter treated with Ecovortek have consumed 5% more water. The Ecovortek unit is a unique water powered device generating a static electric charge by passing water through a vortex flow form, just like nature. It energizes water, improving operational efficiencies, water taste, smell, allowing better use of marginal water and reduces water use and hard water effects. 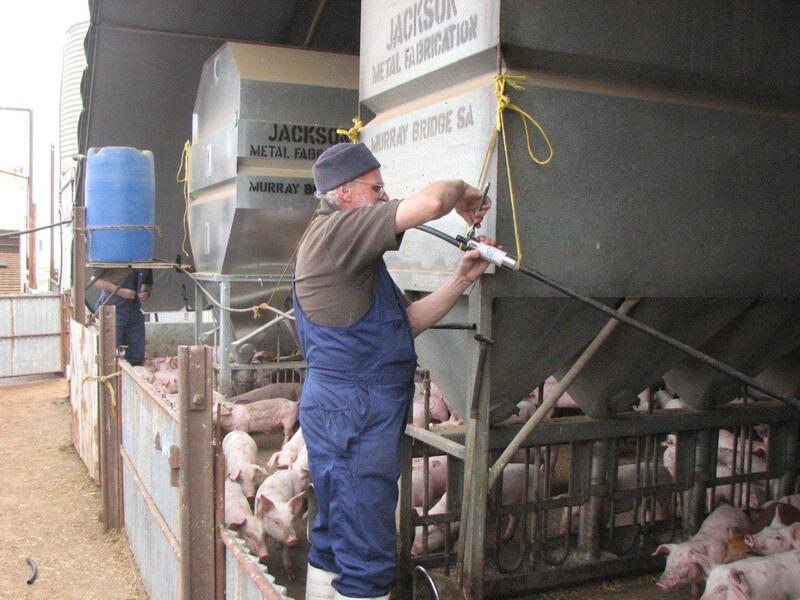 Simple installation of the Ecovortek unit 3 out 4 pigs preferred Ecovortek treated water! Ground water in Eyre Peninsula, South Australia has relatively high volumes of calcium and magnesium which impacts on water hardness. “Water quality on Eyre peninsula has remained relatively constant over the past few years.” “Overall the water has typical levels of hardness of 250-450 mg/L with averages of the order of 290-320 mg/L.” (source SA Water). Water 210 to 320 mg/L is regarded as moderately hard and hard water scale is likely to occur. The residents of many townships use salt water softeners to reduce the hardness of mains water. When the Cowell Laundromat’s salt water softener failed it was replaced with an Ecovortek water treatment unit. 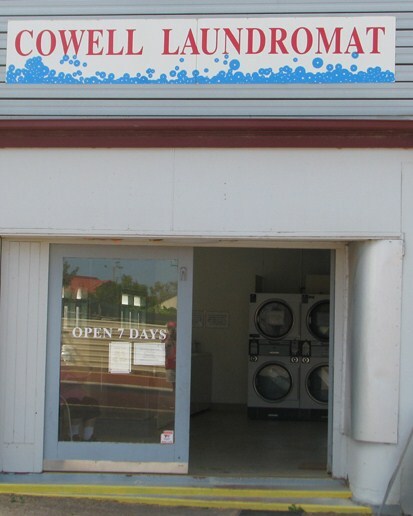 Calcium levels are high in Cowell and the Laundromat can not operate without some sort of water softening. 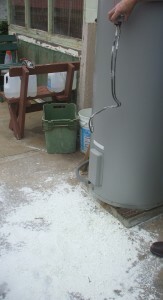 The Ecovortek unit was less than the price of a new salt water softener but needed no maintenance or power to run it. After several months hard water scale that had built up during the use of the salt water softener use, and before, started to flake off the inside of the pipes & was caught by a filter, see below. 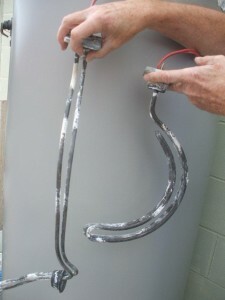 The Ecovortek treated water kept all the washing machines clean. A filter collected the finger nail sized hard water scale that was dislodged by the Ecovortek treated water, right. The pipes and washing machines, above, are left clean and completely free of scale. The Ecovortek Unit was easily fitted at the back of the laundromat into existing pipe work, left. No power is needed and no ongoing maintenance is required as is needed for the old salt water softener. Mains water on Eyre Peninsular, South Australia is classified as moderately hard “with averages of the order of 290-320 mg/L” (source SA Water). Keeping appliances clean and scale free requires regular maintenance and is costly. Ecovortek provides a solution to reduce maintenance and put profits back in your pocket. Motel owner reports: “I have owned and managed the First Landing Motel in Port Lincoln for 10 years and have had to constantly replace hot water elements, clean shower heads and replace parts in the toilet cisterns. In August 2010 I installed an Ecovortek universal unit in the mains line which feeds all 8 units. I knew the water heater element was on its last legs after its normal 9 month period of dealing with the hard Port Lincoln water. I expected the element to be completely encrusted with scale. To my absolute amazement the heater element was perfectly clean. My plumber and I could not believe that the Ecovortek unit had achieved this in only 2 weeks. Further, in just those 2 weeks the shower head in my unit had de-scaled. I look forward to a reduced maintenance budget from now on for the Motel. It is an amazing maintenance free solution to the long term problem hard water has caused for us on the Eyre Peninsular. The Ecovortek unit will pay for itself many times over. Thank you Ecovortek, I strongly recommend your product. 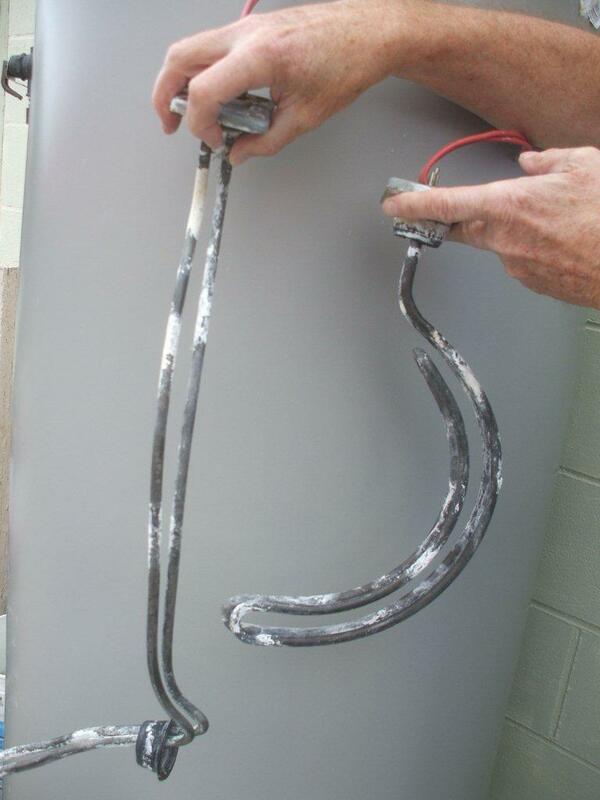 The old element was difficult to remove and damaged in the process After nine months use the hot water service element was encrusted with calcium scale from the hard mains water supplied to Eyre Peninsula. It was often difficult to remove the element because the calcium scale build up was so large that it would not fit through the hole in the side of the storage tank. The scale had to be chipped away before the element could be removed and it was impossible not to damage it. 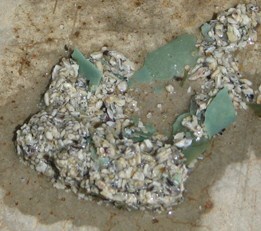 The picture left shows the damaged element and the calcium scale that had been chipped away and fallen onto the ground. The Ecovortek treated element was easy to remove with virtually no scale The picture right shows the old element, left, that had to be forcibly removed and damaged after a 9 month installation compared with the element most recently removed, right, that had been heating Ecovortek treated water for only the last 2 weeks of its 9 month installation showing virtually no hard water scale build up. This element is still working after three years! Ecovortek Pty Ltd was approached by a hydroponic lettuce and herb grower to treat the water that was being used to irrigate their lettuce. Ecovortek assessed their setup and recommended that an Ecovortek Companion unit be installed in the recirculating pipework. The flow rates were very low using gravity to irrigate 22 tables. The treated water reduced the browning of leaf ends that occurred on many plants hence increasing the yield of leaves that could go to market. Some plants suffered from a root rot that eventually killed the plant. This rot was almost eliminated using the Ecovortek treated water. Ecovortek treatment makes nitrogen more available, therefore adjustments are needed in the chemical composition of the water. The Ecovortek treatment resulted in increased yield and hence increased profits for the grower.The Ecovortek Companion unit was easily installed in the pipework on one of the tables. The water was recycled and treated throughout the day. When David moved to Hallett Cove he called to let us know he wanted an Ecovortek unit installed in his new home as soon as possible. Of course we were happy to help. David was already an Ecovortek customer. In fact he was so satisfied with Ecovortek that upon leaving his previous property he asked that the estate agent let the new owners know the water quality they were enjoying was because they have Ecovortek treated water. He has since reported that the 15mm whole of house unit is working a treat in his new home and he is enjoying the water quality that is unique to Ecovortek.